Polyester Sludge Dewatering Belt - Buy Polyester Sludge Dewatering Belt Product on Hebei Reking Wire Mesh Co.,ltd. Mainly used in belt type filter press, the rubber belt type vacuum filter, horizontal vacuum belt filter. Apply to the municipal domestic sludge, various industries of sludge filter, paper pulp squeezing, concentrated juice squeezing and other special industries use. Characteristic: mesh belt is herringbone design, as a result of the sludge and mesh belt off quickly, not sticky mud, a large number of out of the mud, easy to clean, convenient and fast connection. 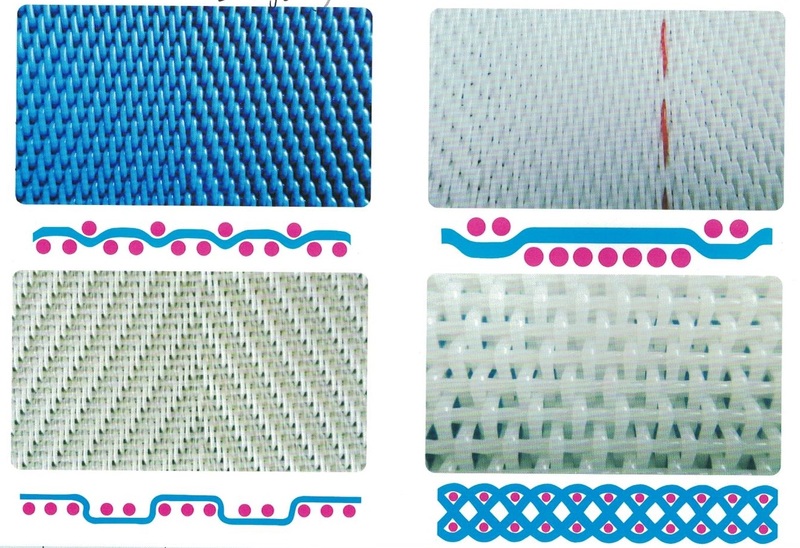 a monofilament polyester mesh which is used within the food and non-food industry. By far the largest application of this material is for dryer, filter and conveyer belts with finished edges and seam. The edges of this type of belt are finished by melting the edges by means of a high frequency machine and the seam can be finished by means of a metal jointer or a woven seam. Those monofilament polyester mesh belts are used for instance for dewatering purposes within filter belt presses to separate sludge from water. On the other hand, those polyester fabrics are also used within filtermat spray dry towers in order to dry and produce dairy powders. These belts are provided in food grade, are mostly white and provided with a black anti-static carbon wire to get rid of static energy (to prevent explosion danger). Some other applications for this type of monofilament polyester mesh belts are; Fibreboard wood presses where various belts are being used to press this type of engineered wood together under a lot of pressure. In addition, production installations for the hygienic disposables industry, where polyester filter fabrics are applied as vacuum belts to transport and process hygienic disposables like diapers and sanitary towels. This product is specially designed for wastewater treatment plants as sludge dewatering mesh belt. It enjoys the features of air and water permeation, while not allowing the sludge. Due to its unique structure, the sludge will get easily off the belt after filtration. Easy cleaning and long service life.